Nigel Bond was in the Macedonian capital Skopje last week for a coaching workshop. 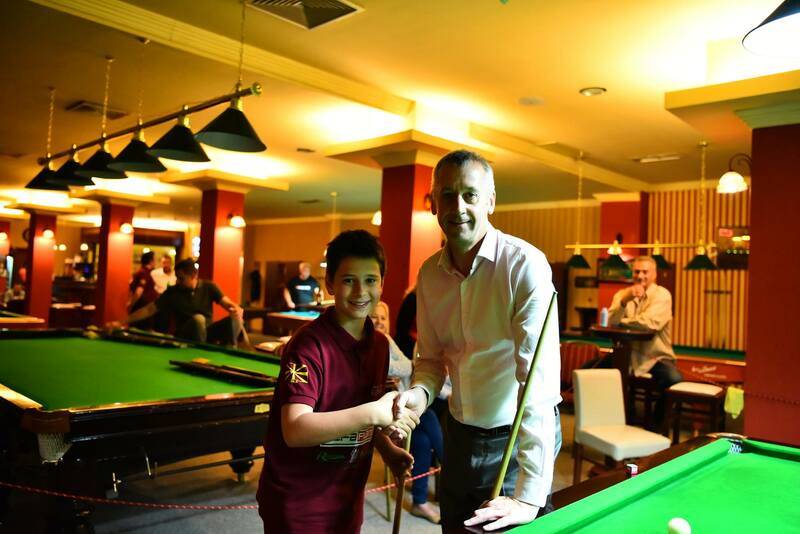 Former World Championship finalist Bond has paid several visits in recent years to the country in the Balkan peninsula of south-east Europe, with the intention to help snooker grow in the region. Bond, who is still on the pro tour at the age of 51 and is currently ranked 72nd in the world, spend three days at the Gran Club in Skopje, working with talented junior players and playing exhibition matches. Two of Macedonia’s best young talents, Berat Jashari (18) and Stefan Knezevic (14), spent time with Bond to improve their technical and tactical skills.